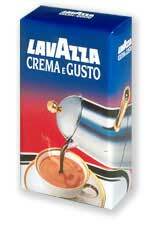 An excellent decaffeinated coffee that preserves the rich aroma and distinct full-bodied taste of classic Espresso. 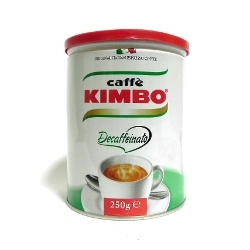 One of Italy's best-loved espresso coffees, Caffè Kimbo is very popular in Italy, and among Italians and their families living in the United States. 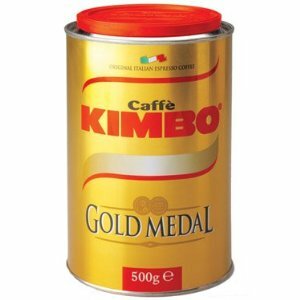 Caffè Kimbo Aroma Espresso in the white can contains ground 70% Arabica beans to produce a rich and satisfying cup of espresso coffee. Kimbo Espresso Gold Medal is the most prestigious among the ground coffees and thus also reflects the meticulous and quality-oriented work done at Torrefazione Kimbo in Naples. Lavazza is the leader in terms of quality and is recognised throughout the world as the symbol of Italian espresso and being Italian. 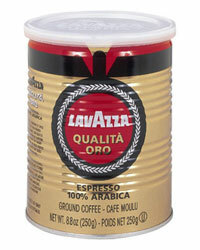 The strength of Lavazza's experience, is the use of the finest raw materials and advanced technological resources allow them to spread the unique and unmistakable taste of our espresso both at home and away from home. undertones that are accentuated by a full-bodied mouthfeel. 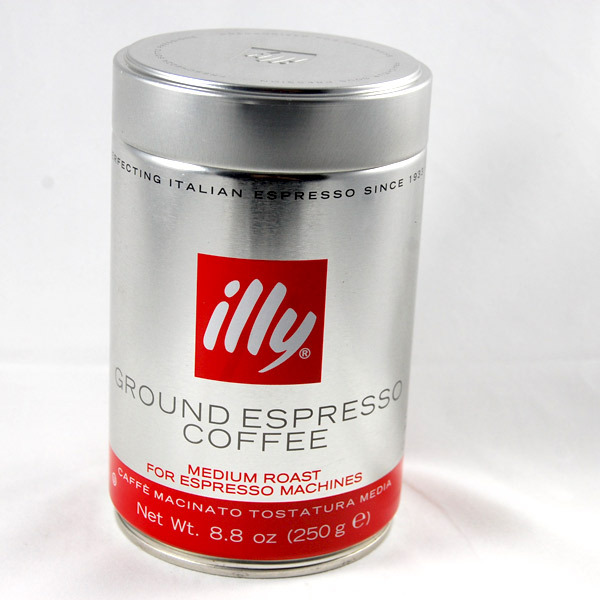 Designed for espresso machines it is packaged in 8.8-ounce bricks. 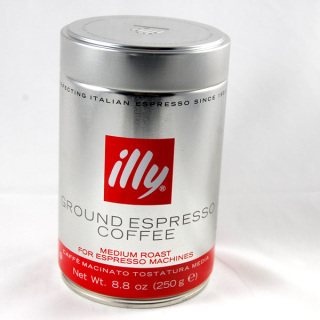 Illy medium roast ground espresso coffee, 8.8oz coffee can. Medium roast for a smooth, perfectly balanced taste. 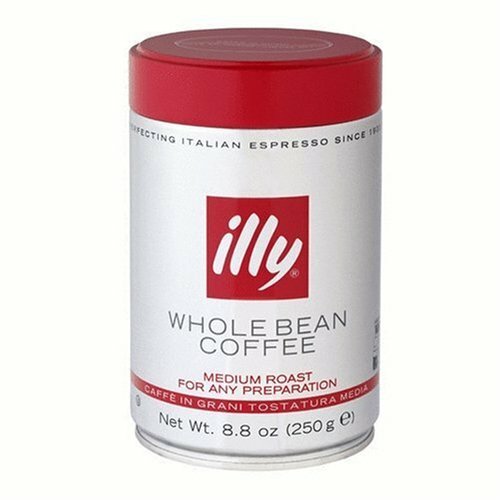 The whole bean medium roast coffee provides a smooth and perfectly balanced flavor. 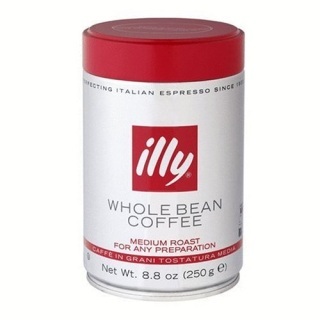 8.8oz coffee can.